The original title of this post was “Creating a Morning Routine.” and when I thought about it, everyone has a morning routine. There are things you do every morning: exercise, scrolling your phone, meditating, hitting the snooze button, drinking coffee, etc…routine. But these activities may not make for an effective one. I naturally get up fairly early but I am terrible at not utilizing my time to get things done. 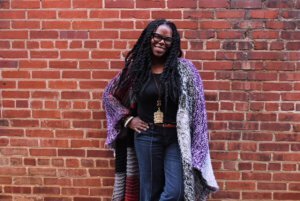 So while I’m messing around and haven’t accomplished anything (productive), the time has flown by and now I have to get they boys ready for school and I’m looking back, with regret, on how I could have used my time efficiently. This is one of very first things I do in the morning. I look forward to getting out bed because of it. 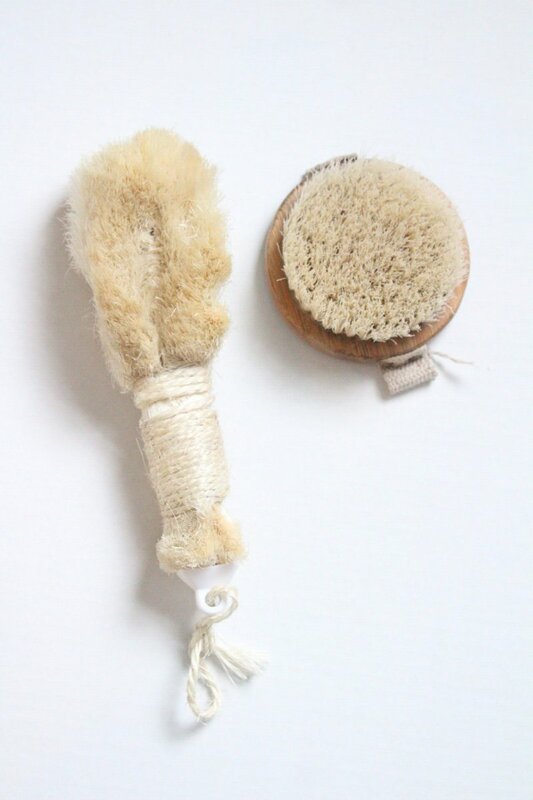 Dry brushing helps with lymphatic drainage, exfoliating the skin, increases circulation, and can be an energy boost. I have two brushes. The longer one I use on my back. Starting at the feet, create long strokes up the legs towards the heart, repeat on the other leg, then move to your arms, and back. Always try to brush up towards the heart/center of the body. I wish my phone wasn’t one of the first things I reached for in the morning but it is. So if I’m going to use it, I try to make it worth my time. I try to read at least 10 pages of a book. Better than mindlessly scrolling for an hour. I used to stress out trying to decide what I wanted to write in my journal. I am no longer in the “Dear Diary” stage of my life so writing about my daily life is pretty mundane. I use my journal to write inspirational quotes I may have seen on social media or while reading a book. 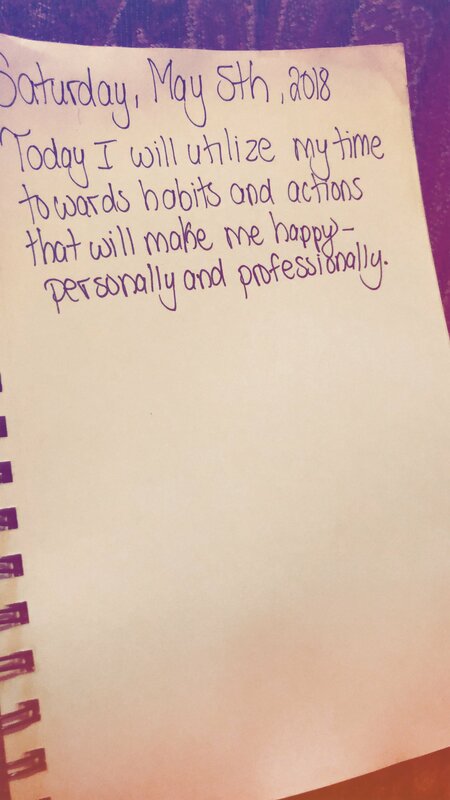 I also use it write down goals or setting my intentions during the New Moon. And some days the words just come to me. On the days when I feel I have nothing to write I will look back on past entries to see what and how I was feeling at the time and then I will check-in with myself to see how I now feel about that situation. Unless I’m teaching a spin class, I have a better chance of working out in the morning than any other time. I’ve always preferred it. Working out in the morning helps set up the rest of my day to be lot more productive. Fortunately, summer break is here so I won’t have as strict as a schedule in the morning with getting the boys to school but during school time, I will try to get them to school at the earliest drop off time so I am able to get home and complete a workout before I have to work or start on other projects. While tea does have a low level of caffeine for an energy boost it has the opposite effect on me. No matter what I’m doing, a sip of tea helps makes me feel calm and less stressed. 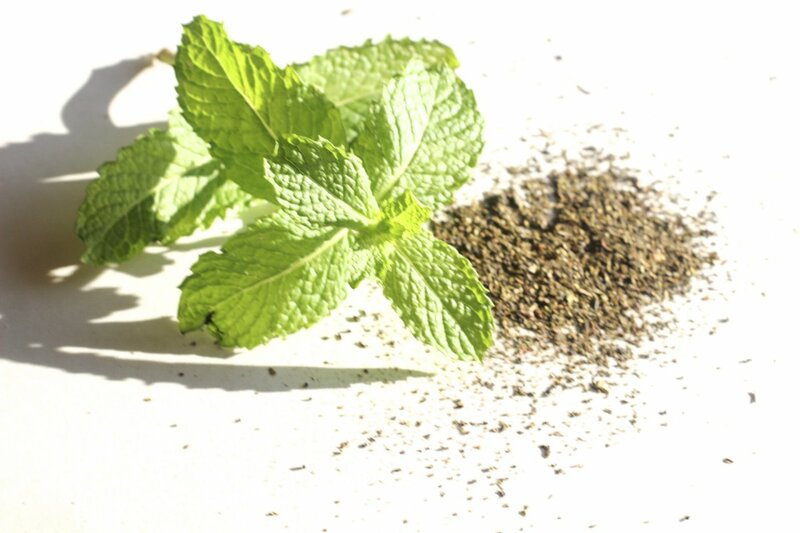 My favorite mix is one bag of green and one bag of mint (or fresh mint, depending on the season). Maybe this is a given. You wash your face, you slab on some moisturizer and you go on about your day. For me, it’s a ritual. I like to take the time to exfoliate, lather my face, apply my serums and moisturizer, use my ice roller, and massage my face. It may seem ridiculous but all these steps make me feel good externally and internally. What are some things you do to jumpstart your morning?